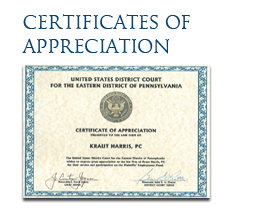 FAQs | Kraut Harris, P.C. IMPORTANT NOTE: Please review our Disclaimer before acting upon any of the following topics. The hiring of a lawyer is an important decision which should be based upon careful study and investigation. 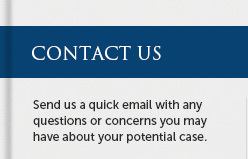 If you would like more information about our firm, qualifications or experience, please feel free to call us at 215-542-4900. Q: What are your legal fees? Our fees vary depending upon the subject matter. Some matters are billed on a flat "transaction" basis. Some matters are billed hourly. Our hourly rates vary depending upon what is being done. For instance, time spent in court is billed at a higher rate than in-office time. We do consider contingent fee cases, and will discuss our fees with you when we first meet. In addition, some types of claims provide that the other side pays your legal fees when you win. We will make every effort to recover fees when that is possible. Q: What kind of costs can I expect to encounter and who pays for them? Under Pennsylvania law, you are responsible for any and all costs associated with your legal matter. Court filing fees, court reporters' fees for transcripts, costs of record duplication by medical providers, and investigators' costs are some of the expenses you can expect to incur. 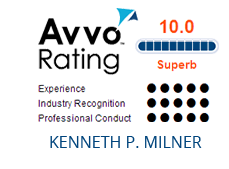 We will make an assessment when we accept your case whether a prepaid retainer will be required to cover anticipated costs or not, and the amount of that retainer. We try to initially evaluate all potential matters over the telephone, saving your time and ours. If we believe we can help, an in-office initial appointment will be scheduled for which we may charge a flat fee or hourly rate. For your convenience we even accept credit card payments (Visa and MasterCard). 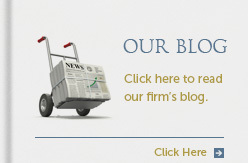 Q: What can I do to protect myself from personal liability for my company? ● Display the corporate indicator (“Inc., Incorporated, Limited, LLC, etc.”). The corporate indicator should be included in all company letterhead and other official corporate documents. ● Always include your official corporate title when signing corporate documents. If you sign individually without indicating your corporate title (President, Secretary, Manager, Treasurer, etc. ), a court can interpret the signature as a personal guarantee, thereby exposing you to personal liability for that particular transaction. ● Do not co-mingle personal funds with corporate funds. Personal assets belonging to a director, officer, shareholder or member should never be “mixed” with company funds. For example, co-mingling can occur if you pay a company invoice directly from a personal checking account or, conversely, paying a personal auto loan from the company checkbook. These actions can undermine the separate legal entity status of the corporation and can lead to your being held personally responsible for corporate liabilities. ● The corporation must maintain an accurate account of all meetings by the Board of Directors and the shareholders. Corporations must have annual meetings of the Board. Minutes need to be maintained in the corporate minute book to reflect the decisions made at the Annual Meetings of Shareholders and Directors or any special meetings that may have been held. Minutes are often needed when a corporation is audited by the Internal Revenue Service or the Department of Labor. ● Keep the corporation in good standing. If the state in which the company is incorporated has reporting and filing requirements, it is imperative that these requirements be met or the state can force a corporate dissolution by taking the corporation out of existence. Also, in connection with keeping the corporation in good standing, it is important to pay all necessary federal, state, county and business taxes. Furthermore, failure to pay these taxes can result in the Internal Revenue Service holding the business owners personally liable. ● All contractual agreements entered into by the Corporation should be fully approved by the Board of Directors. These include all financially binding agreements such as loans, and lines of credit, acquisitions and employment agreements. Q: What is an "employee at will?" Under Pennsylvania law, most employees are deemed "employees at will" who can be terminated at any time for a good reason, bad reason, or no reason at all, but not a reason in violation of the law. The only exception is where there is an employment contract. Employment contracts are usually "express," i.e. written contracts, although in a union shop, the collective bargaining agreement will constitute the "contract." Such collective bargaining agreements may, but do not always, modify the "employment at will" relationship. Employment contracts can also be "implied," but these are extremely unusual. Q: What is "wrongful termination?" Under Pennsylvania law, wrongful termination is where an employee is terminated in violation of public policy. "Public policy" under Pennsylvania appellate case law means an express statutory provision. One example is where an employee responds to a jury duty subpoena and is then fired for missing work. Since the requirement to obey a jury subpoena is statutory, an employee following the law who is fired for doing so would be wrongfully terminated. Other examples include, but are not limited to being fired for: filing an unemployment compensation claim, filing a workers compensation claim, or reporting an employer's criminal conduct where there is an affirmative obligation to do so. Q: What is a "Charge," and why does it need to be filed before I can sue my employer? Before you are permitted to file a lawsuit in state court or federal court for employment discrimination, you must first exhaust your administrative remedies. This means filing a charge with either the Equal Employment Opportunity Commission (the EEOC) or your state Human Relations Commission or equivalent. There is usually no fee for filing a charge, and you do not require a lawyer to do so, but if your charge is not carefully drawn, and you omit anything important which prevents the administrative process from addressing all issues, you may be prevented from including such claims in your lawsuit later on when you are given the right to sue by the EEOC or the Human Relations Commission. What are some good legal resources for consumers? The Pennsylvania Bar Association (PBA) has provided a series of Consumer Legal Information Pamphlets which give basic information to consumers about a variety of legal topics here http://www.pabar.org/public/membership/conleg.asp. All Kraut Harris attorneys are PBA members, and Ken Milner and Harold Goldner both serve in leadership positions.